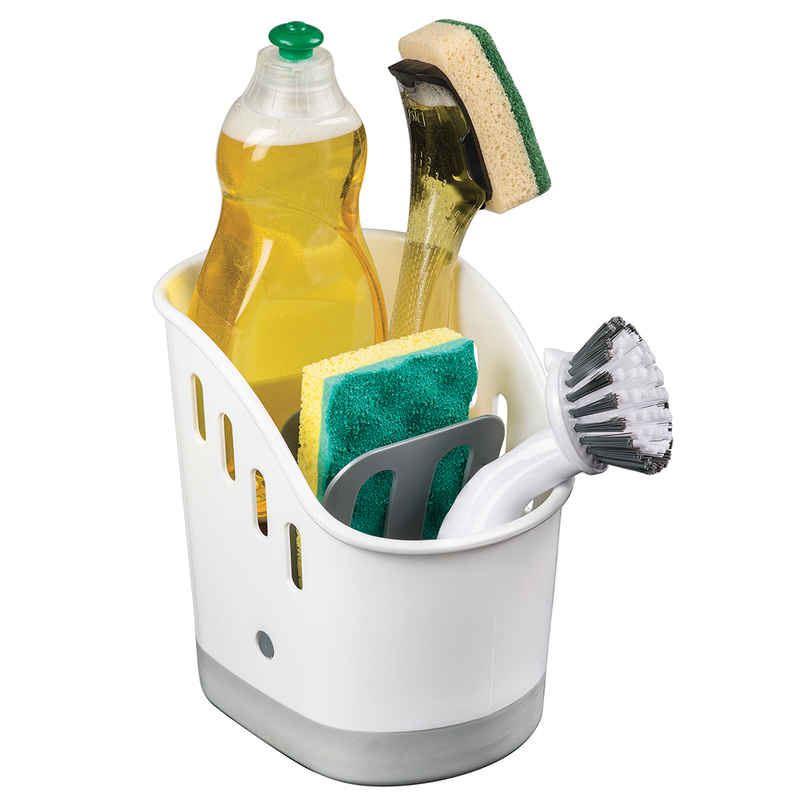 Avanti's Sink Tidy is the ideal vessel for organising all of the washing-up clutter around the sink. It's made from durable plastic, with space for your sponges, brushes, cloths and detergent, and features a convenient handle for easy portability, so you can store your clutter under the sink when it's not in use. The perforated interior base also allows for drainage of liquid, so your kitchen benchtop remains spotless at all times. Made from durable plastic, with a rubberised non-slip base. Includes a removable sponge holder. Perforated interior base for drainage of liquid. Please note: the cleaning products shown above are for illustrative purposes only and are not included. Dimensions: 13.5cm (w) 18cm (h) x 15cm (d).